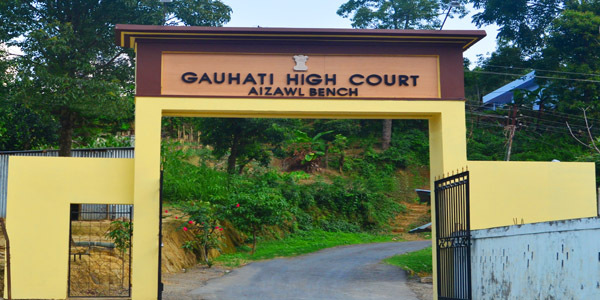 The Aizawl Bench of the Gauhati High Court has quashed the dry day declaration made by the newly-elected Mizo National Front (MNF) Government. The liquor vendors will now be permitted to open shop until March 31, 2019. The new MNF government headed by Chief Minister Zoramthanga had declared dry days during December 21, 2018 to January 14, 2019 prohibiting sale of all alcohol, and extended the same date till March 10 in a subsequent notification. The case came to light when Mizoram Liquor Vendors Association and three bonded warehouse owners filed a lawsuit against the government on the extended dry day declaration. The vendor and warehouse owners mentioned that while they respected the government’s policy, they expected a proper exit protocol. Though prohibition was a key poll plank of Mizo National Front in the 2018 Assembly Elections, but sudden imposition of extended dry days by the MNF government came as a blow to the liquor vendors and warehouse owners as their losses were piling up. The warehouse owners and liquor vendors not only suffered a loss of sales but had to pay heavily for expenses incurred in electric bills, employees salary and renting charges with zero profits. A warehouse owner who wishes to remain anonymous said they had incurred an estimated loss of Rs 4 lakhs per day. Permits were taken by warehouse owners for periods extending upto March 2019 which could not be refuted. However, the vendor and warehouse owners believe their stock which has been piling up during the past few months due to supplies coming in but sales being curbed, will not be exhausted by March 31, 2019.